Teeth whitening is one of the more commonly requested procedures performed in the dental industry. At Smiles 4 Grant Park in Atlanta, GA, Dr. Abbey J. Lee provides both in-office and take-home teeth whitening options to reveal a bright and dazzling smile. This quick and affordable cosmetic dentistry treatment can remove extrinsic dental stains often caused by the foods and beverages you consume, as well as lighten yellowing and dull-looking teeth that tend to occur with age. Professional teeth whitening provides faster and more effective results than the toothpastes, whitening strips, and mouthwashes found at your local drugstore. You may be a good candidate for professional teeth whitening if you have good oral health but extrinsic dental staining to the outer surface of your teeth. This type of discoloration is typically caused by the natural age progression and external factors, such as tobacco products, red wine, black tea, and coffee. If you have hard-to-remove stains or intrinsic discoloration to the deep, inner structures of your tooth as a result of tetracycline antibiotics, heredity, or dental trauma, Dr. Lee may recommend a more effective treatment, such as porcelain veneers or dental bonding to brighten your smile. Dr. Lee will perform a full examination to ensure your teeth are healthy enough to undergo this treatment. If you are a good candidate, your teeth will first be effectively cleaned and dried to create a solid foundation for the whitening agent. 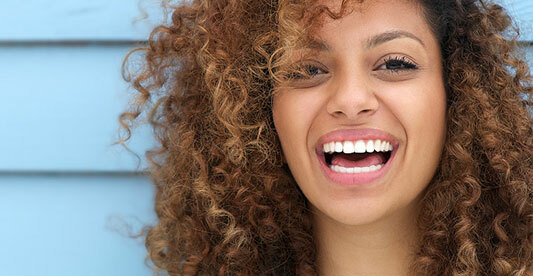 What Types of Teeth Whitening Do You Provide? In-Office Chairside Treatment: If you are looking for a quick solution for whitening your smile for a special event, such as a wedding or class reunion, we provide chairside whitening treatments than can be performed comfortably in our office in about an hour. The doctor will apply professional strength Opalescence Boost, a chemically-activated whitening gel, to your teeth to reveal a whiter smile up to five to ten shades lighter. Opalescence tooth whitening gel contains potassium nitrate and fluoride, designed to protect your natural tooth enamel and prevent dental sensitivity. Although results are not permanent, they are long-lasting, and can be easily maintained with follow-up treatments or with take-home whitening trays. Take-Home Whitening Trays: If immediate results are not necessary, we provide take-home whitening kits that can reveal dramatic results in about one to two weeks in the comfort of your own home. Dr. Lee will take impressions of your teeth for customized whitening trays to be fabricated that will fit securely over your top and bottom teeth. Once the trays are ready, she will provide you with Opalescence take-home whitening gel. This whitening agent comes in four different concentrations and three different flavors (mint, melon, and regular) so you can optimize treatment to meet your needs. Trays can be worn overnight or as little as 30 minutes a day. If you looking for a quick and effective solution to dramatically whitening your smile, contact Smiles 4 Grant Park today online or by calling 404.328.7177 to learn more about the whitening treatments we provide.